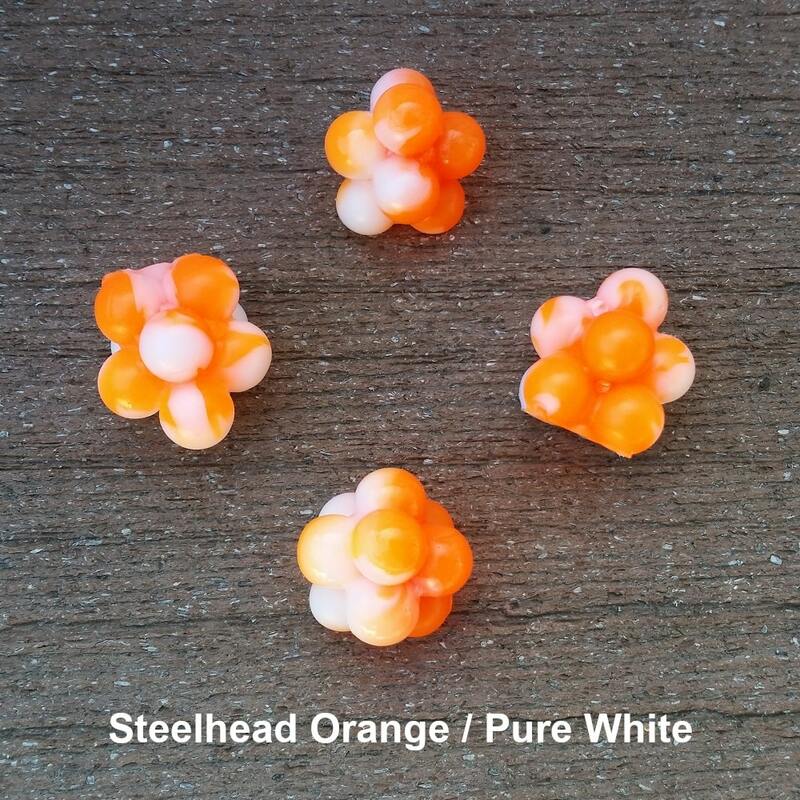 Swirl Egg Clusters / Artificial Roe Bait for Salmon, Steelhead and Trout! 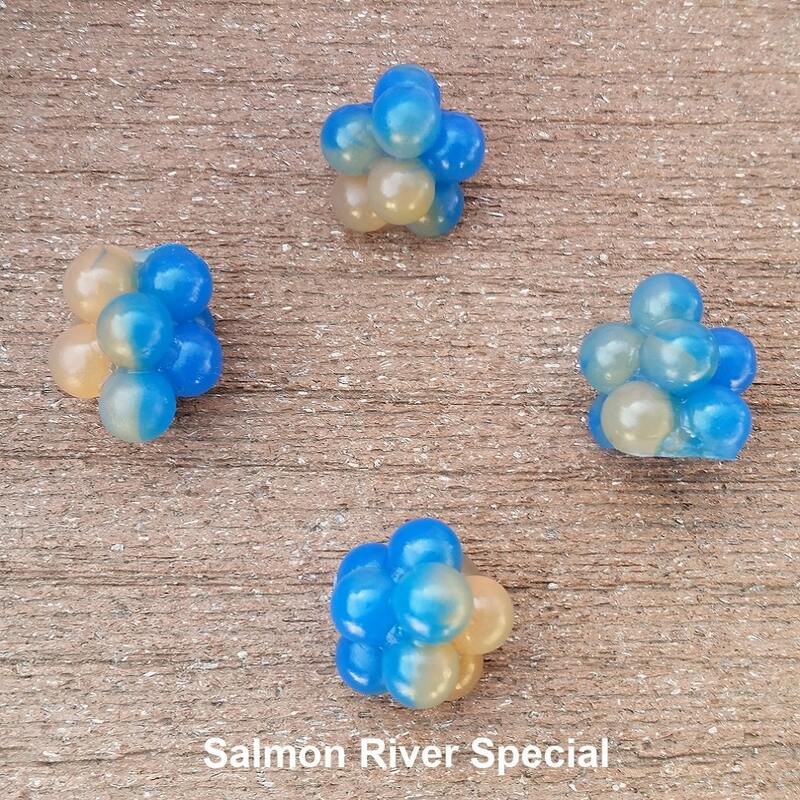 The Mini Salmon Egg Clusters come with 20 egg clusters per pack, the Medium's come with 12 per pack and the Large come with 10 per pack. 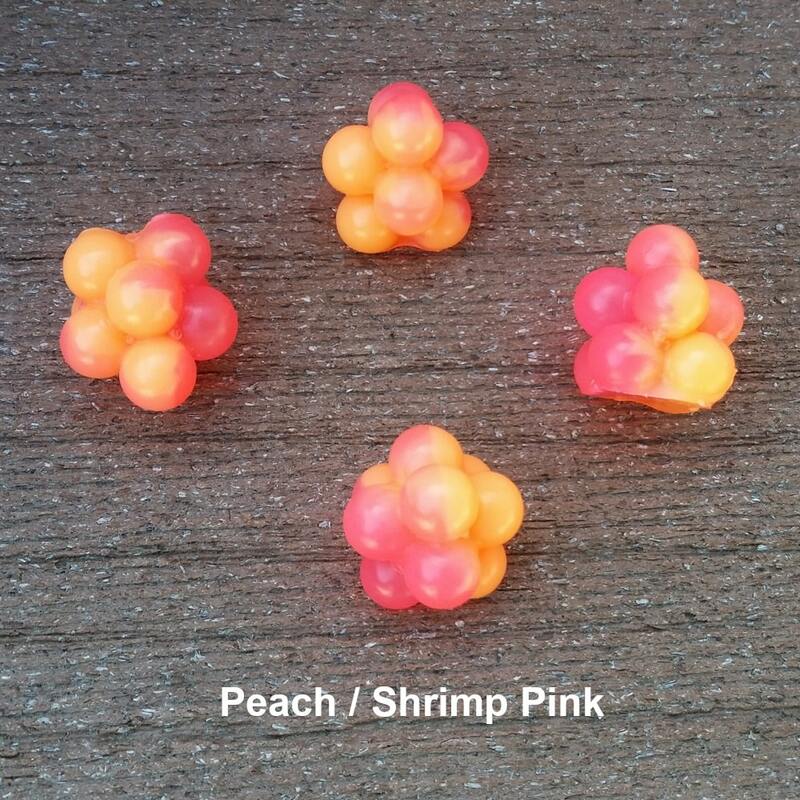 This is an Artificial Roe bait that is LOADED with REAL Shrimp & Roe scent and other natural ingredients that we have kept a secret (we can't give away all of our tricks). 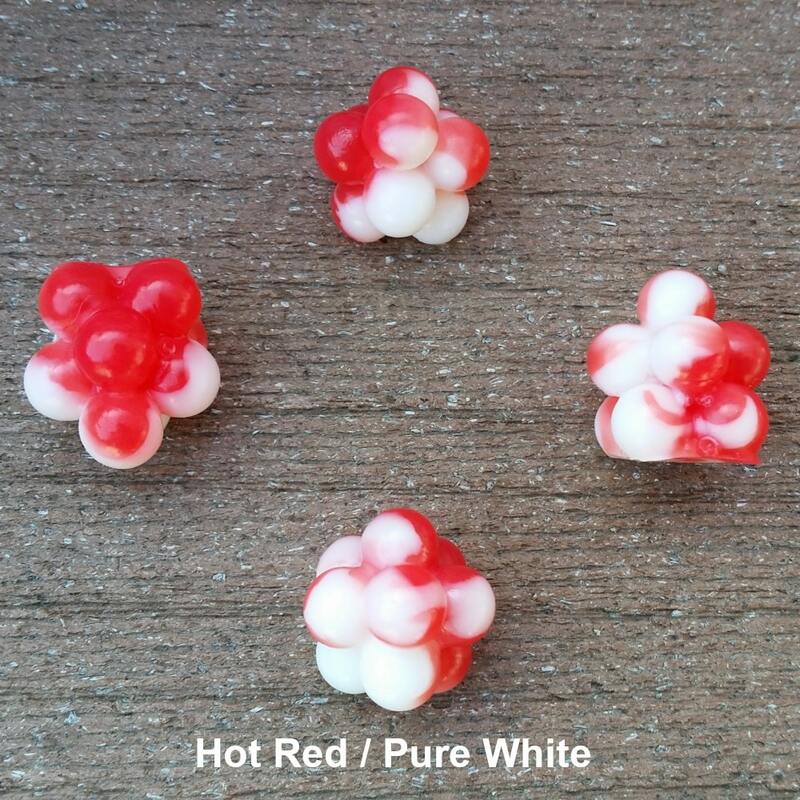 Not only do we package these baits with scent, they are also infused with scent during the manufacturing process. 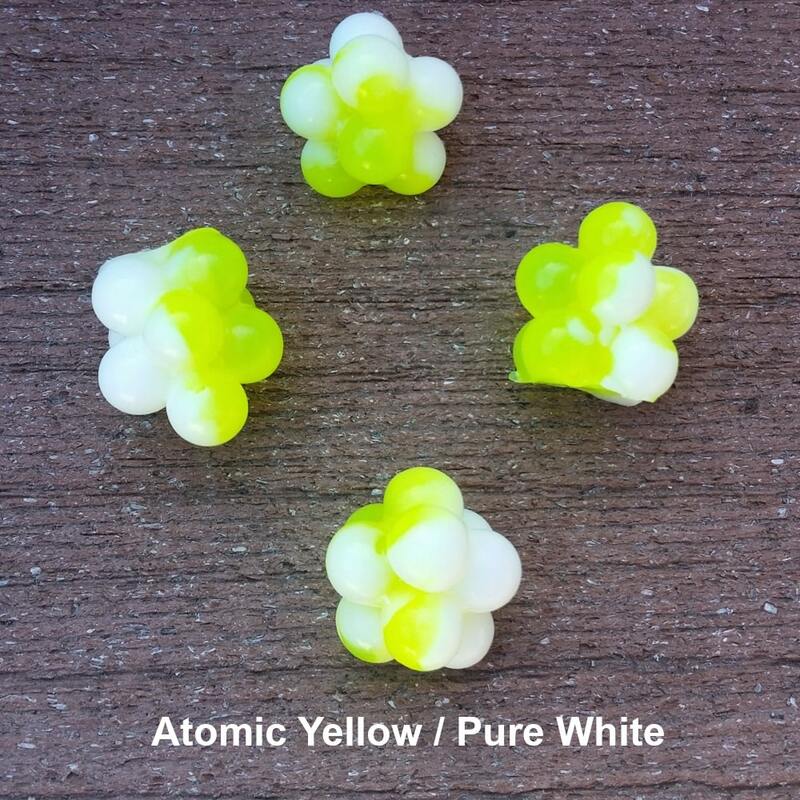 This double scenting truly sets our baits apart from the competition and gives our customers a serious advantage. The XFactor Difference These baits are hand made in our own facility in Grants Pass, OR. We don't buy from some other source, we make them in house and all raw materials are 100% Made in the USA. 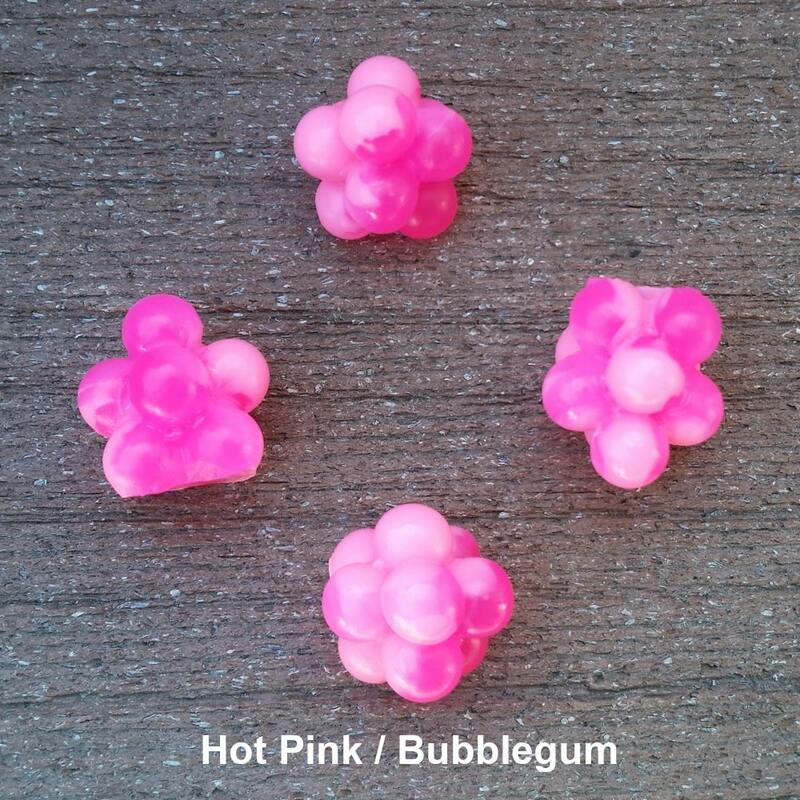 Every detail of these baits has been carefully thought out. 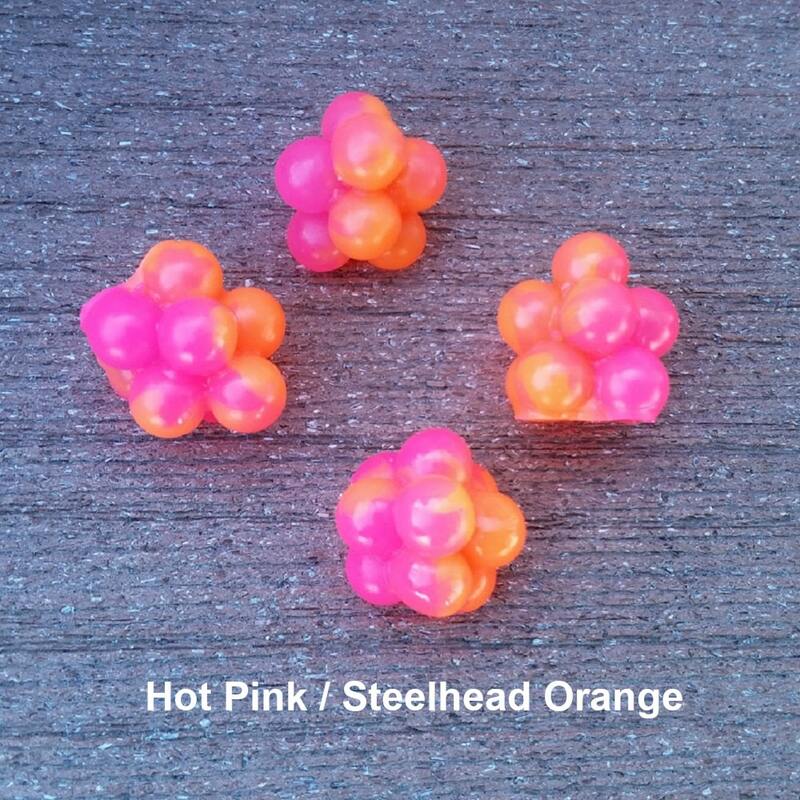 From size, to color to scent these baits are tailor made for Salmon and Steelhead fisherman. 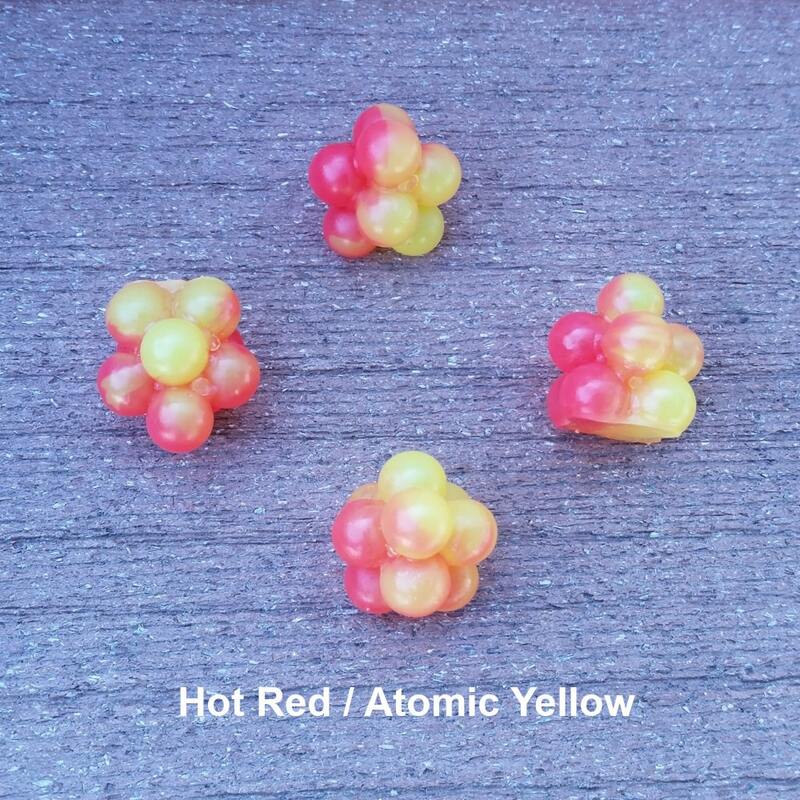 Our scent infusing process truly sets these baits apart from any other artificial bait on the market giving you an effective, easy to use, mess free and readily available alternative to natural roe. these are a great quality product. the price is very reasonable and the service xfactor tackle provides is great. Still trying to figure out proper presentation, but the first time I baited my hook with this color combo (Peach / Shrimp Pink mini) I hooked up 3 out of my first 4 casts. Pretty impressive! 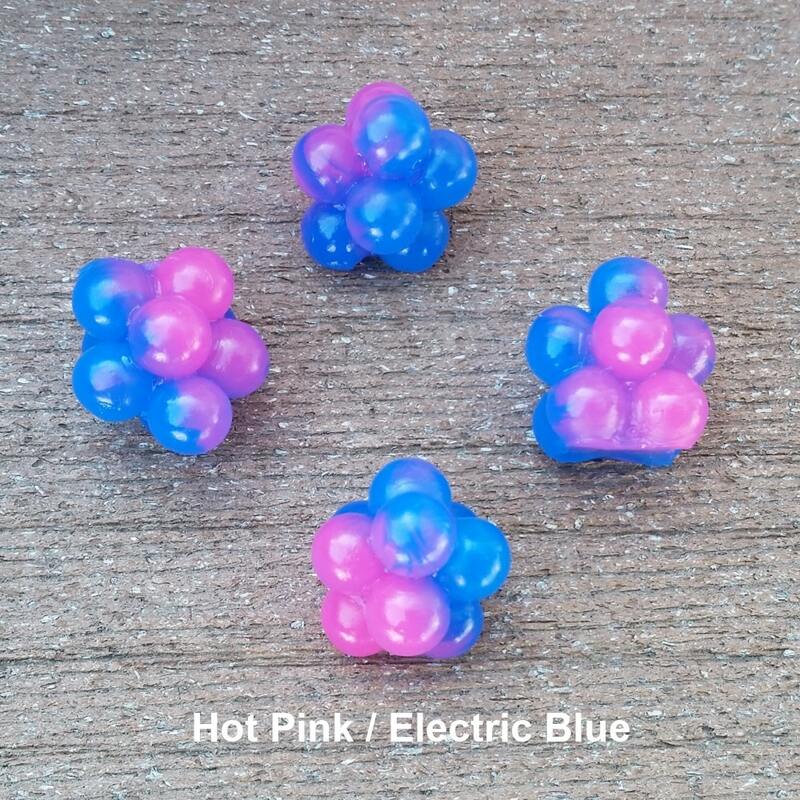 Used these Swirl Salmon Egg Clusters for the first time. They work Awesome. 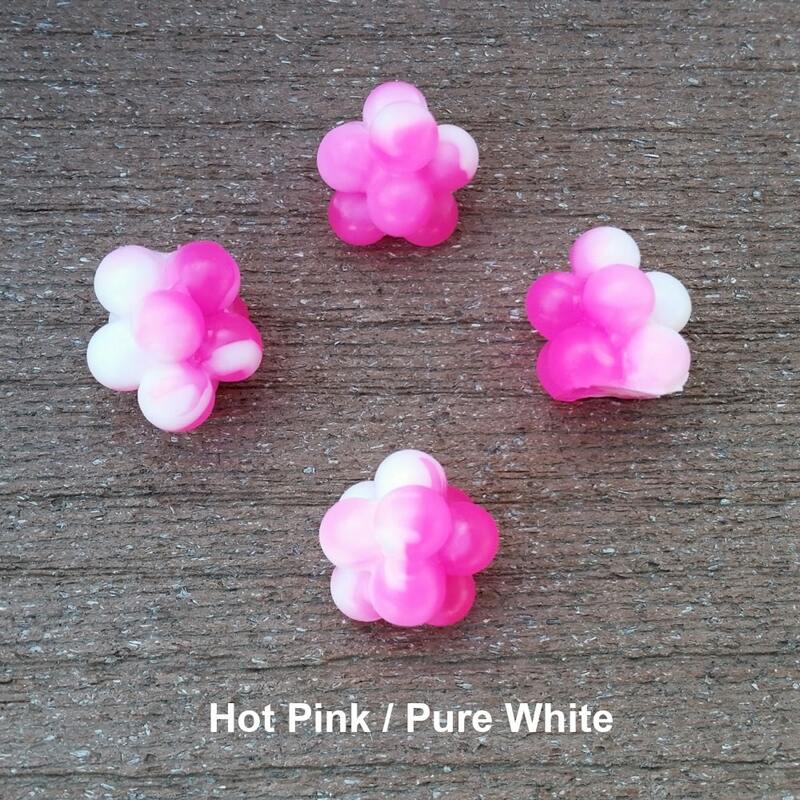 Soft durable and are Great in place of Roe which is messy. Q: How long do the eggs last for. How should they be stored at normal tempurature, in the fridge or in the freezer? Thank you for the question. Our baits don't need to be put in the fridge or freezer at any time, that's one of the many advantages that we have over natural bait. We recommend you keep them at normal temps but that's mainly because we don't want them to get all clumped together and "vacuum sealed" for a long period of time. As long as you make sure that they have room to move around in the bag they'll be just fine. On a site note, we're putting together a Guide Program as we speak, if you are interested in joining let me know and we can get you some info on it. Thank you for your support Mike, we appreciate it. God Bless. 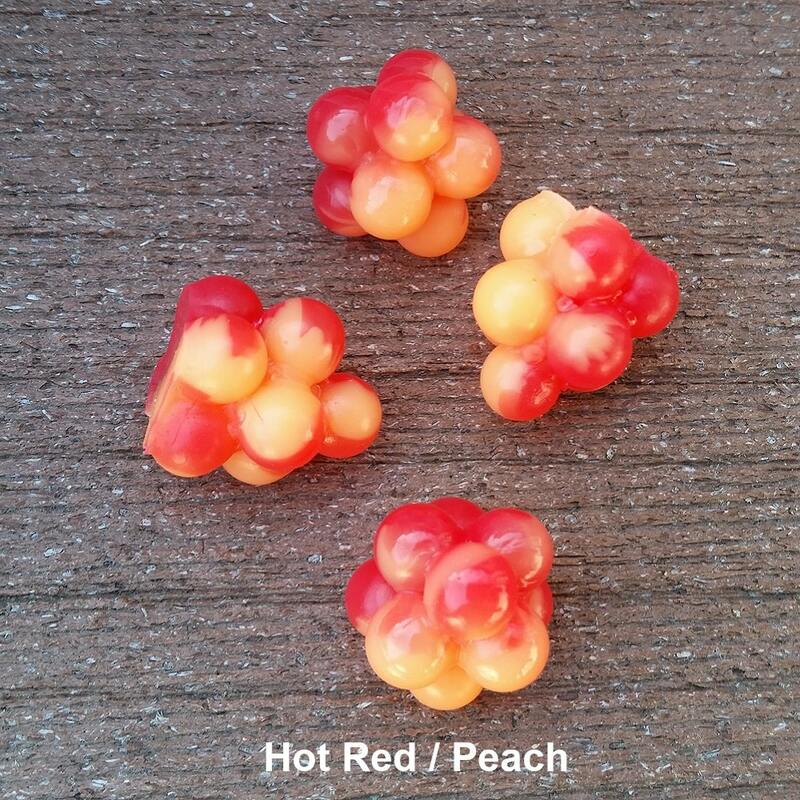 Q: First I would love to see all the color combinations in the swirl salmon egg clusters, is there any way to see the combinations? Second what size eggs are the clusters 4mm 6mm 8mm? A: Thank you for your interest Justin! Q: What is the colour combo of the display picture on the website? 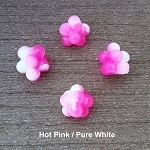 A: That is Peach / Shrimp Pink in the picture. Thank you for your interest, we'll be posting the rest of the pictures soon. Q: Says item is backordered. Is that all colors & sizes out of stock? A: We have a limited inventory. These are made to order, the back order status is just to let people know we can't always ship these in 24 hrs. Q: What color is the Salmon river special (New York)? It's electric blue and brown trout roe. We have pictures on our Facebook page. Q: Says item not for sale. when will this item be available? Q: If I purchase some of your in unscented will it be labeled on the package unscented? A: Hi Nate, YES! We ship them in a different bag with a label that clearly says UNSCENTED BAIT. This is to help our customers if they come in contact with fish and game in places that scent isn't legal. Unfortunately, they're not. The manufacturing process just doesn't allow it. If you like the swirl colors but prefer single egg size, try the mini egg clusters, I think you'll be pleasantly surprised.